Catching a tram along St Kilda Road, you could hardly miss that NGV’s latest Melbourne Winter Masterpieces exhibition is Napoleon: Revolution to Empire. What you might not know is that The Tea Room at the NGV is also serving a French inspired high tea. Already a fan of The Tea Room, High Tea Society was quick to accept an invitation to sample their French themed menu. Walking into the NGV is always a breathtaking experience, with the Waterwall in full stream and the foyer filled with excited visitors of all ages, you can’t help but get excited about what adventures await. As we were seated on the glass balcony overlooking the foyer, we couldn’t hide out excitement. Certainly, a glass of French bubbly also helped in this regard. We were treated to an impressive three-tiered tea stand with crust less sandwiches, savouries, scones and some of the most drool-worthy cakes. 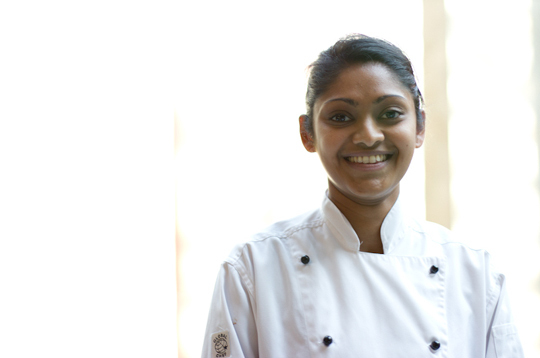 All the delights are lovingly handmade by Selvana Chelvanaigum and her team of talented pastry chefs. Let’s get the savoury business out of the way so we can focus on the main event – the sweets. 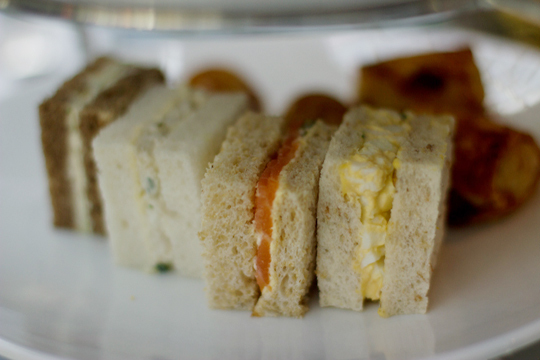 The sandwiches are a lovely treat especially the smoked salmon & crème fraiche with red onion and capers. Having visited the NGV on numerous occasions, I have often ordered the sandwiches as a little pick-me-up after a few hours of wandering the gallery. The chicken sausage roll is a great variation of the traditional sausage roll and vegetarians are also catered for with vegie pasties. All of the sweets are fantastic. We were ooh-ing and ah-ing with every mouthful. The scones were pleasant, however a special mention must be made of the blackcurrant jam with passionfruit. The tartness of the passionfruit really lingers nicely. Now I’m about to gush over two things I never thought I would – pistachios and choc-orange. I ate the pistachio mousse first because I didn’t think I would like it much. How wrong was I? It was heavenly. Well done to Selvana for making a believer out of me. I didn’t think anything would better the pistachio mousse, and then I ate the Cake à l’orange. Wow! 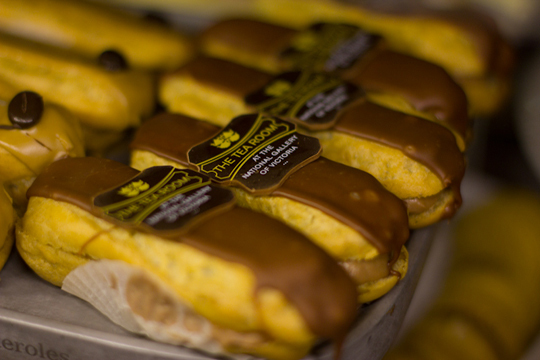 The orange cake is encased in a chocolate base, topped with icing and golden wafer balls). Each element was a surprise and was such a wonderful way to finish a splendid feast. Hats off to Ian and his team also. It was service with a bubbly smile. Sparkling Afternoon Tea consists of a selection of cakes & pastries, savouries, sandwiches, scones & preserves, tea or coffee, served with a glass of Sparkling Brut. The Tea Room serve Thomas Lawson teas. 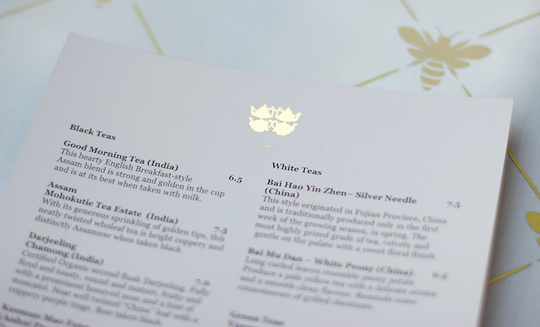 There is a fairly extensive list of black teas, white teas, oolong teas, flavour black teas and flower teas on the menu. They also blend their own chai and the house blend is a mixture of Earl Grey and English Breakfast. 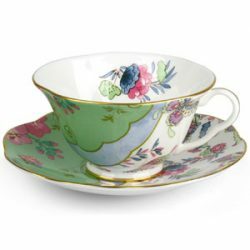 There is sure to be a tea on the menu to tickle your fancy. The NGV is one of Melbourne’s most beautiful buildings and art spaces. 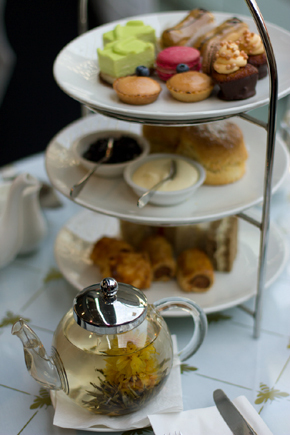 For this exhibition only, the glass balcony was especially designed for this high tea experience. You have a choice of overlooking the mesmerising Waterwall or Federation Court. 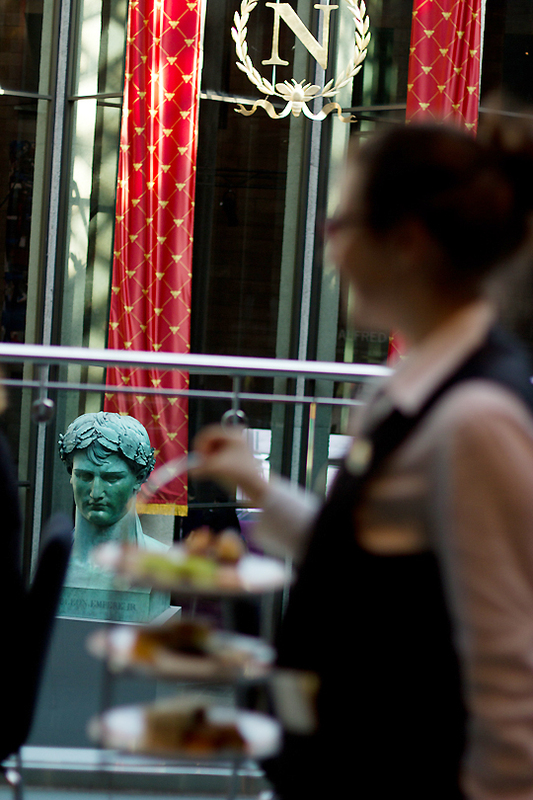 The view onto Federation Court is particularly striking as a large bust of Napoleon watches from afar as you enjoy your tea (I promise this is not as creepy it sounds). The Tea Room has always been a great place to recover from a gallery visit and the specially designed French tea provides yet another great gallery experience. 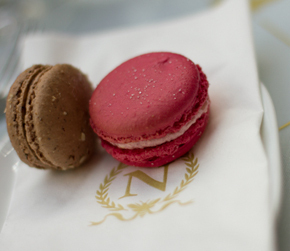 If you’re popping along to the NGV to visit the Napoleon exhibition, it’s high time you pay a visit to the Tea Room too. 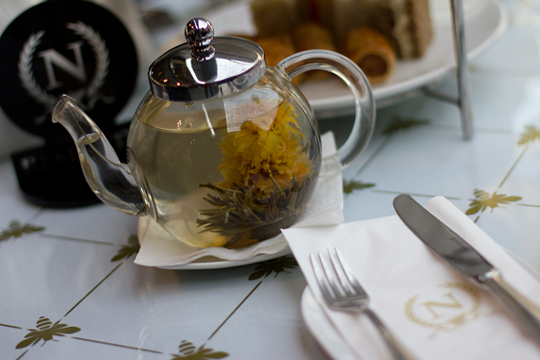 Sparkling Afternoon Tea is available at $45 per head. 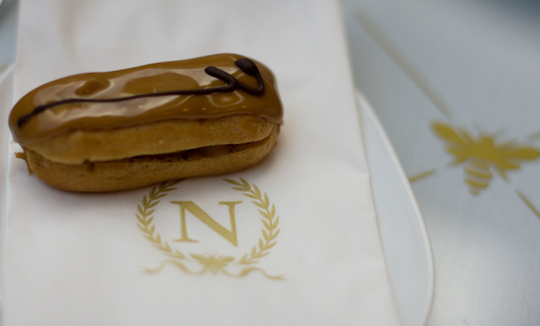 Visitors to the exhibition can also take advantage of the High Tea with Napoleon Special Offer. 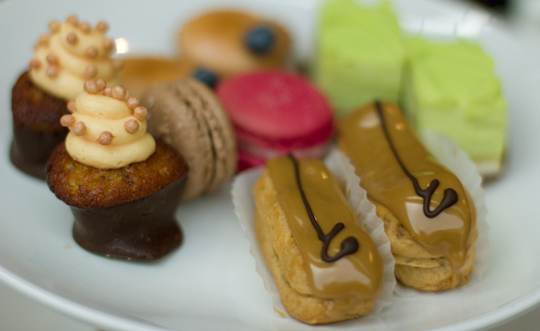 This offer includes exhibition entry to Napoleon: Revolution to Empire, and a French inspired high tea service at $58 per head. Maryann is a Social Media Strategist living in Melbourne, Australia.